Thinking of checking out a “Cycle + Boot Camp” class at H2L studio but not sure exactly what to expect? Keep reading to find answers to all of your questions and feel confident when you walk through the door for your first class! For this hour-long session, we’ll meet you in the cycling studio to start off with a 30-minute, high-energy ride on the bike, then dismount and head to the front of the studio for 30-minutes of boot camp-style exercises! While every instructor designs a unique class with his own style, what can you consistently expect? A workout that is challenging, achievable, and FUN! We use body weight, dumbbells, agility ladders, the wall, and any other equipment we can creatively incorporate to push you through circuits, pyramids, and partner exercises. Just like all of the classes at H2L, you will work hard and leave sweaty. But don’t be intimidated by the name of the class! Your boot camp instructor will guide you in a small-group setting through each exercise, providing immediate feedback on form and opportunities for progressions and regressions. We encourage clients to interact with one another throughout the workout to make each other laugh, give a compliment on great work, or admit that we’re ALL suffering on that tenth burpee! 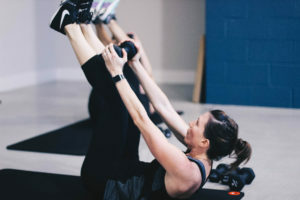 By combining cycling plus boot camp, you’ll be efficiently working on your cardiovascular health while also getting the benefits of strength training in one convenient trip to the studio. With consistent participation, you’ll not only add lean muscle mass and improve fat loss but also perform better on everyday tasks – whether that’s unloading groceries from your car, picking your kids up, or carrying laundry around the house! And remember: Every class, both on the bike and on the mat, involves collaboration between a certified instructor and yourself. We offer plenty of modifications for beginners to ensure that you can safely perform exercises and build a foundation of proper form and technique. Ready to become the strongest version of yourself? 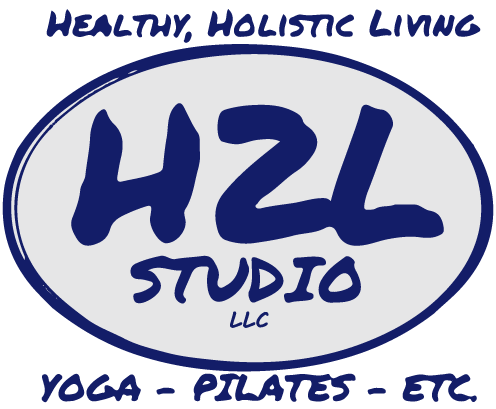 Grab your shoes and water bottle and check out one of the classes below at H2L Studio!